Routine wellness exams and diagnostic testing are essential to the early detection and treatment of health issues. As a pet owner, you also play a pivotal role since you know your pet better than anyone else. Oftentimes, it’s your careful observation of changes in personality, habits, or appearance that first alert us to the fact that something is amiss. Breathing – Pets in pain may experience faster or more shallow breathing than normal, or they may pant excessively for no apparent reason. Personality – Just like with humans, pain can really transform a pet’s personality. Sudden aggression, hiding, cowering, or other behavioral changes should be reported to your veterinarian as soon as possible. Appetite – Loss of appetite and weight loss are very common symptoms of pet pain, especially in cases of dental disease when pain in the mouth can make eating difficult or impossible. Elimination – In some cases, pain can make it difficult for a pet to urinate or defecate. Bring your pet in to see us immediately if they’re experiencing any problems in this area. Mobility – An illness, injury, or chronic condition (such as arthritis) can make moving painful. A pet who’s limping, favoring one side, stumbling, or displaying a change in gait should be seen by a veterinarian. 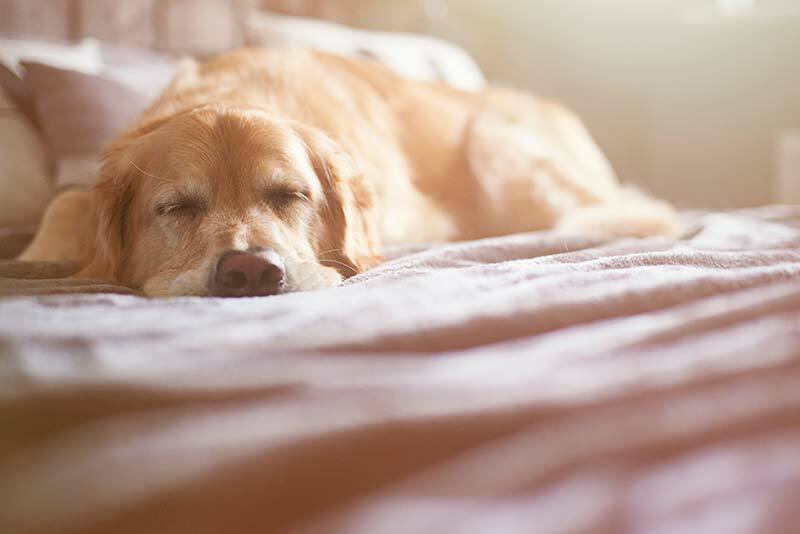 Restlessness – Restless behaviors, such as pacing, clinginess, difficulty getting comfortable, or inability to keep still, can indicate that your pet is in distress. Grooming – Most pets, especially cats, are fastidious groomers. However, if you notice your pet obsessively licking, scratching, or biting at a particular spot, pain may be the cause. Please contact our team if you have additional questions about pet pain. We’re always here for you!